If you associate the word �audit� with taxes and IRS, then probably the very word itself makes you shiver but fear not -when SEO is concerned, �audit� is a nice word and a very, very necessary activity. This article will teach you in details how to perform a SEO audit and you will see for yourself that not all audits are a nightmare. Why Do You Need a SEO Audit? When you think how much time SEO takes, you might frown at the very idea to spend more time on it. While this could be true for many SEO activities, like getting thousands of low quality backlinks that are not just a waste of time but they could really hurt your rankings, the case with SEO audits is different. SEO audits are not a waste of time for sure. Yes, a thorough audit of a big site could take days or even weeks but without it you are left in the dark. Basically, the main purpose of a SEO audit is to give you an idea where your SEO efforts have got you to so far. Without this knowledge, it makes no sense to perform any SEO activities, since you don't know what the return from them is. This is why a SEO professional can't do without occasional (but preferably regular) SEO audits. Before you start with the analysis steps of a SEO audit, you need to perform some prep steps. The first one is to crawl your site. This will tell you if you have sections of your site that are not accessible to search engines. If you there are such pages/sections, you know right away why they don't rank well &dash; actually, they don't rank at all because they are not included in the databases of search engines. To perform a crawl of your site, you need a tool. The choice of tools here is pretty rich but we can whole-heartedly recommend the Search Engine Spider Simulator tool. 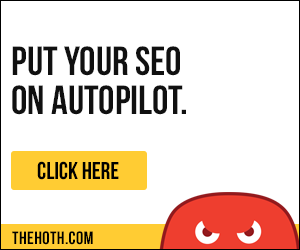 It's a straightforward tool that tells you what is indexable from your site and what isn't. A crawler gives you a rough idea about what from your site is indexable and what isn't but this is not all the data we need. The fact that a page is crawlable doesn't always mean it's included in search engines' databases. Therefore, we need to check what of our crawlable pages made it there and what didn't. Unfortunately, in order to do so, we need to hack the databases of Google, Bing, and the other search engines and this certainly isn't a viable option. The next best thing is to use the sets of Webmaster tools these search engines offer for free. If you are not familiar with Google Webmaster Tools or Bing Webmaster Tools, it's high time to correct this and start using these tools regularly. The data you will get from them is not everything you need but for a start, they are enough to perform a SEO audit. After you prepared yourself by checking what's crawlable from your site and what webmaster tools report, now we can start the SEO audit itself. The first step in the accessibility and indexability analysis is to make sure you haven't by accident blocked crawlers from your site. To check if you haven't blocked crawlers, have a look at your Robots.txt file to see if there are no user agents banned, or sections of your site that should be indexed put by mistake in the banned area. You can check this in the file itself or use Google Webmaster Tools to see which URLs it lists as banned. XML sitemaps are way too important to neglect. This is why, no SEO audit is complete without a check if your XML sitemap is up-to-date, readable, and functioning. Your XML sitemap must contain only pages that are really on your site and all your pages you want indexed must be included in the sitemap. Any deviation from this rule is a potential problem, so you need to find it and solve it now. Also, double check if your XML map is submitted to search engines. You might have the perfect XML sitemap but if it isn't used by search engines, this makes it pointless. If your site takes ages to load and/or is frequently down, this is also a turnoff to both human users and search engine spiders, so these issues also need to be corrected asap. Just find a good host and your problems are over! In addition to accessibility, site indexibility is also something you need to check, when you perform a SEO audit. Here are some quick ways to do it. where you replace yoursite.com with the actual name of your site. This command gives you the number of pages from your site indexed by the search engine. If the number of pages indexed by search engines is close to the actual number of pages on your site, this is the best because it shows that your site is indexed successfully. If the number of pages indexed by search engines is much smaller than the actual number of pages on your site, this shows that many pages are inaccessible and you need to check why this happens. If the number of pages indexed by search engines is much bigger than the actual number of pages on your site, this suggests you have lots of duplicate content you need to clear as fast as you can. Just use site:yoursite.com&start=990 to see if Google will report duplicate content. If you find nothing when you issue the site:yoursite.com command, you can scream with pain because (unless this is a new site) this usually means one thing &dash; you have been excluded from the search engine's index. This is the most severe penalty a site can get! If this happens to you, check here how to proceed. Site URLs need to be user friendly (i.e. no dynamic URLs, if possible), with the relevant keywords in them, and have no overlap (i.e. no two URLs should point to the same page, unless you use redirects because for search engines this is duplicate content). Is your content thin - i.e. do you have pages with just a few words/sentences of content? Is your content unique &dash; i.e. do other sites in your niche have similar stuff or not? Is your content keyword-rich &dash; i.e. do you have a good keyword density for your target keywords (without going in the keyword spamming direction, though)? Do your keywords appear in the right places &dash; i.e. headings and the first paragraph? Do you have duplicate content on page and/or sitewise &dash; i.e. if you use the same footer/sidebar on each page, this is also duplicate content, though it certainly is less severe than having the same articles two or more times on the site. The quantity and quality of outbound links is of vital importance. This is why you need to double check that you have no more than 1 outbound link per 500-1,000 words of text and that this link points to a reputable site. Of course, you can use nofollow for outbound links but still this isn't a guarantee because not all search engines (even Google itself) honor it at all times. Meta tags are frequently underestimated but they do matter for good rankings. For instance, you might want to make sure that each page has a unique meta description. You should also check that the <title> tag is properly filled with the name of the page it refers to. On-page factors are important and their analysis certainly takes a lot of time. However, off-page ranking factors are also important but the good news is that their analysis isn't that time-consuming. Here are some of these off-page ranking factors you need to consider. Do your backlinks come from reputable sites in your niche? Do you have many unique backlinking domains or do your links come from just a couple of unique domains? Do you have toxic backlinks (i.e. links from bad/spammy sites)? Do your backlinks have keywords in the anchor text and are these keywords different from one another? If you have a huge amount of backlinks, you might need a lot of time to analyze them. To make your job easier, you need a good backlink checking tool, for instance this one. Even if your site has a good backlink profile this doesn't mean it is a good ranking site. In addition to your rankings with Google and the other search engines, one more factor to consider about your position on the Web is how reputable ranking services, such as Alexa, PR, Page Authority, Domain Authority, etc. rank you. For more information about ranking services, check this article. Social media, such as Twitter, Facebook, Slideshare, Pinterest, and the other social networking (and some social bookmarking) sites are a good indicator about your site's popularity. If you have a large following on these sites and a good number of reposts, this is a huge plus. Finally, the last step in the SEO audit process is to see how you fare compared to your competitors. This is also a time-consuming step, especially if you have lots of competitors but you shouldn't skip it. To learn how to analyze your competition, check this article. This SEO audit surely took a lot of time and effort but this wasn't in vain. You got valuable information that can save you long hours of meaningless work. Now, put all the conclusions of the audit in writing, save the file(s) somewhere safe, so that when you decide to perform another audit sometimes in the future, you have what to compare with. SEO audits can be very time consuming but it is best if you perform them regularly, i.e. once a month or once in three months because this way you will know how you are doing and will save yourself the trouble to do SEO activities that have no (positive) effect on your rankings.